Origin of name  Dr. James Cuthbert named the plantation in honor of his ancestral home in Inverness, Scotland (Northern Money Southern Land, p. 125).
?  Dr. James Cuthbert came to South Carolina in 1737. The exact year he established Castle Hill Plantation is not known (Northern Money Southern Land, p. 125). Over the next century or so, Castle Hill was passed down through generations of the Cuthbert family (Northern Money Southern Land, p. 125). 1838  Col. James Cuthbert died from yellow fever. He had borrowed against the plantation in an effort to increase his crop production. The plantation was sold in an effort to reconcile his estate after his death. (Northern Money Southern Land, p. 125).
?  Nathaniel Heyward purchased Castle Hill (Northern Money Southern Land, p. 125). 1849  G.M. Wilkins purchased the plantation for his daughter Ellen and her husband Col. John Screven (Northern Money Southern Land, p. 125). Early 1900s  The original house was lost to fire. 1929  Blair S. Williams, together with his son John S. Williams, purchased the plantation (Northern Money Southern Land, p. 125). 1935  The Williamses hired architect Willis Irvin to design a house. John's family spent winters at Castle Hill (Northern Money Southern Land, p. 125). 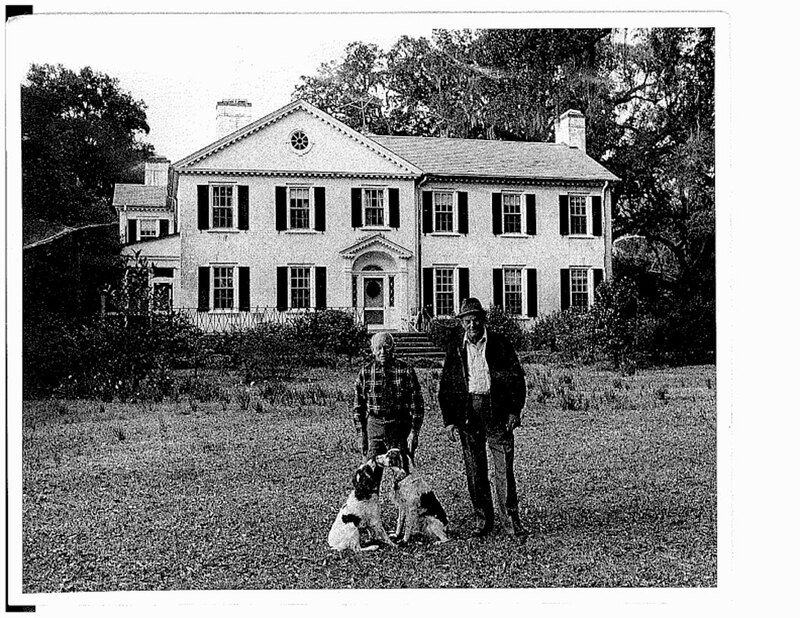 1948  The Williamses sold the plantation to P.O. Mead (Northern Money Southern Land, p. 125).
?  Fred C. Koch owned Castle Hill (Northern Money Southern Land, p. 125).
?  Dr. H.T. Weaver owned Castle Hill (Northern Money Southern Land, p. 125). Late 1950s-Early 1960s  Dr. Joseph T. Wearn owned Castle Hill. 1984  Dr. Wearn died and left Castle Hill to his daughter, Sue Wearn Drew. 1986  Sue Wearn Drew sold the plantation.
?  Mr. Bostwick bought Castle Hill. He recruited 11 investors to develop the plantation into a hunting lodge. Elaine Gamble grew-up at Castle Hill. Her father, Dave Gamble, was the plantation's superintendent for 20 years. Elaine shared the following with us: "Castle Hill's nine-tenths of a mile entry lane is lined with bunkers on either side from the Civil War. Several cannonballs were found on the property as well as medical bottles. "The plantation has a rather large pond, possibly up to 100 acres including wetlands, which is populated with alligators. There is an old rice field that was used for duck hunting and a slave cemetery next to the pond complete with very old headstones [from the] late 1800s. "When I grew up, it had a prize-winning camellia garden which my father and Dr. Wearn cultivated and won many blue ribbons with. Castle Hill Plantation was visited by many well-known figures including Henry Cabot Lodge and E.B. White." Former resident Elaine Gamble remembers, "One of the gentlemen who worked on the plantation was George Days. He was born there and his family members had been slaves." The house was built in 1935. There are also older outbuildings including slave quarters that remain on the property.